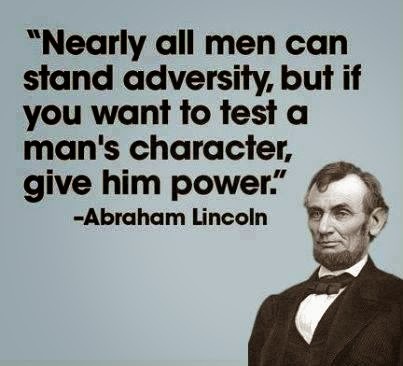 John's Labour blog: "...but if you want to test a man's character, give him power"
"...but if you want to test a man's character, give him power"
Great quote by Abraham Lincoln. Equally applies to women of course but so many men behave badly if they have power. Some far, far more than others.